3D printing has achieved some pretty incredible feats that puts it on par with some of the most futuristic technology known to man. 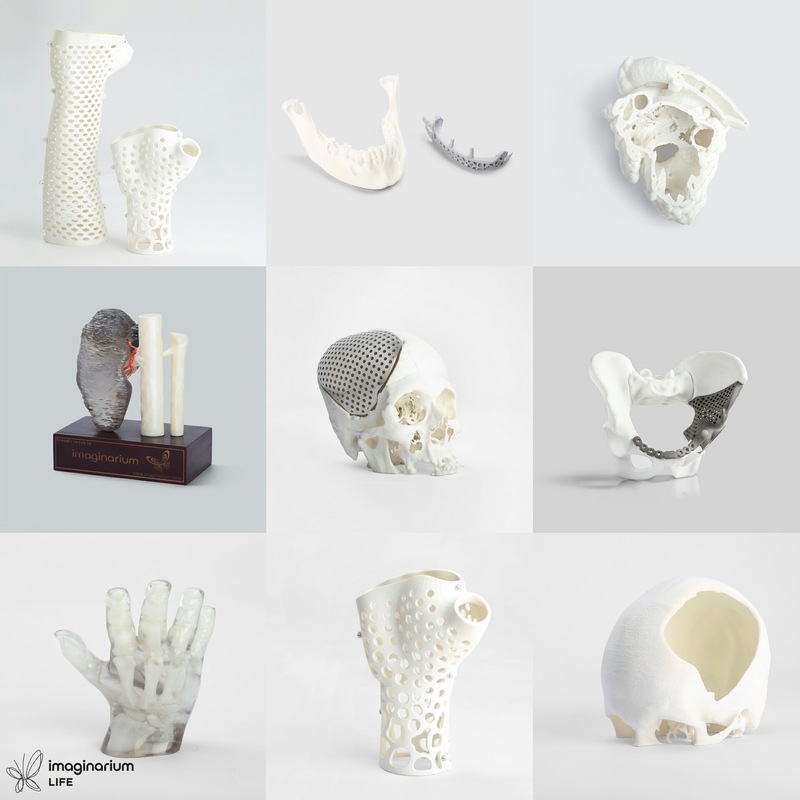 We brings you upto speed with 7 instances where 3D printing blows minds. Out of all the futuristic technologies that have caught the masses’ imagination, 3D printing perhaps takes the top spot as the most popular along with time travel and teleportation. Remember Replicator from Star Wars? Or Tom Cruise’s face masks in Mission Impossible series? Classic examples of 3D printing in science fiction. One major difference though, unlike time travel or teleportation, 3D printing is real and is happening right now. You read that right, anything. From jewellery to car engines to entire houses to even edibles like pizza and pasta, you name it and it can be 3D printed. As an advanced manufacturing technology, 3D printing is only limited by a man’s imagination. And science backs that claim with sound logic. You see, 3D printing as a process works by taking digital designs as input and then converting them into physical objects. Thanks to this, artefacts like ‘ball inside a ball inside a ball’ that were deemed nigh impossible to make under traditional manufacturing process, are now being 3D printed with relative ease. Theoretically, anything that can be created in the digital space with the aid of the human mind, can be translated to 3 solid dimensions by a 3D printer large enough to accommodate it. One can almost imagine Archimedes saying, ‘Give me a 3D printer large enough and a digital design, and I will print the world.” A common misconception with regards to this technology is that one can only print in plastic. The truth, however, cannot be farther away from the point. The list of 3D printable material is long, with materials like ceramic, wood, paper, metal, glass and even living tissue proving their mettle at creating 3D printed objects. One company by the name of Planetary Resources went so far as to 3D print a model spaceship out of material mined from an asteroid! Now that’s unearthly. Sir Tim Berners Lee invented the World Wide Web in 1989 as a means to share and interlink information in the digital space, opening the floodgates to an entire era of technological advances and digitization of real world processes, with the internet as its backbone.But not many know that the groundwork for modern 3D printers were first laid by Chuck Hull of 3D Systems in 1986, years before Berners Lee wrote his first ever WWW program. In fact, the roots of 3D printing go even farther back to 1981, when Hideo Kodama of Nagoya Municipal Industrial Research Institute proposed the first 3D printing system in a research paper. 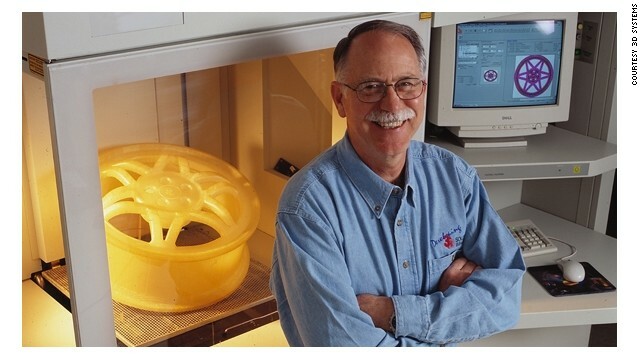 But it was Chuck Hull who first successfully demonstrated a working Rapid Prototyping system that created physical objects in 3 dimensions based on digital design. He called his machine Stereolithography Apparatus, the first ever machine to employ SLA technology, a common place in 3D printers today. While it’s hard to imagine a life without the internet today, 3D printers are yet to permeate the consumer space at a global scale. But they are already finding innumerable industrial applications. Termed as ‘industry’s best kept secret’, they are deployed everywhere from automotive to aerospace industries and even for the medical applications. Experts suggest that the time is not far when every household will sport a 3D printer that will produce objects of day to day use, on demand. 3. 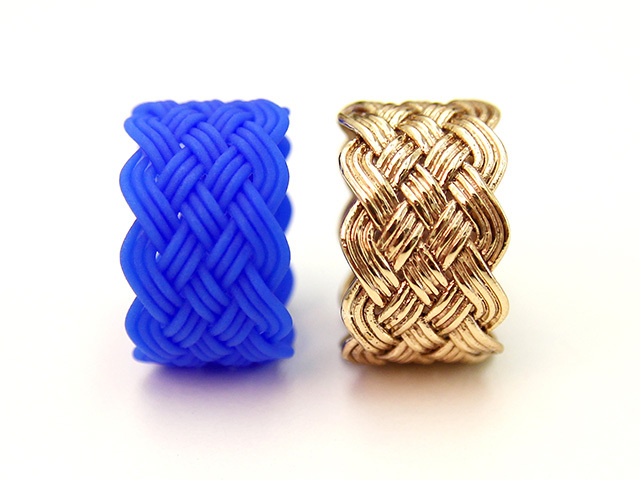 90% of all Jewellery is made using 3D Printing. Like hearing aids, Jewellery was one of the first industries in the world to realize the potential of 3D printing, and incorporate it into existing business processes. Under traditional methods, jewellery is produced by first craving the desired shapes and patterns by hand in wax, and then casting these molds in precious metal. With the advent of 3D printing, the industry recognized the ease with which these wax molds could be created by 3D printers, at a speed much faster than possible by bare hands. Moreover, 3D printing also let jewellers to produce intricate and complex designs, enabling a level of design freedom never seen before in the industry. Needless to say, 3D printing technology swiftly became a business norm in the jewellery sector, with top players around the globe adopting the technology to stay competitive and multiply profits.Advancements in the field has also made it possible to print directly in precious metal like gold and silver. DMLS (Direct Metal Laser Sintering) is one such technology patented by Rapid Product Innovations in partnership with EOS that specializes in direct metal printing for jewellery industry, reducing time-to-market of jewellery products exponentially. 4. 3D Printers are about to get really fast. Even with 30 years worth of research and development of 3D printers, the technology is deemed as ‘slow’ and unfit for mass production. 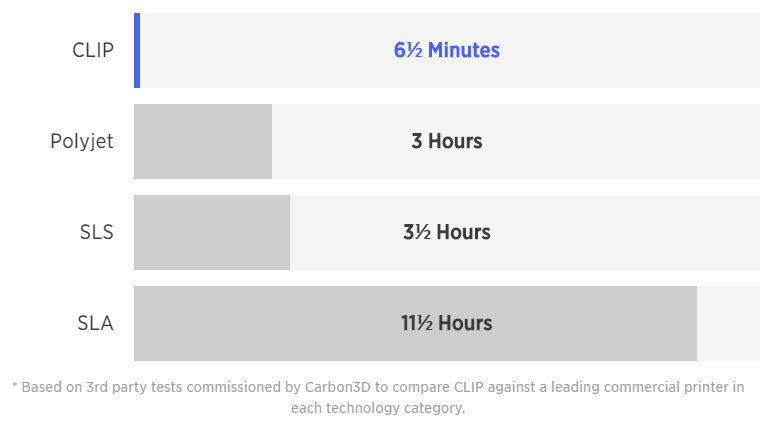 But the scenario is rapidly changing, with companies like Carbon 3D and HP announcing revolutionary new processes that are exponentially faster than contemporary 3D printing technologies.CLIP, or Continuous Liquid Interface Production, is one such technology developed by Carbon 3D that addresses many of the shortcomings associated with 3D printing, including speed and surface finish. Carbon claims that CLIP is a revolution in 3D printing, being up to 100 times faster than traditional SLS and SLA processes, and will help in accelerating adoption and making mass production possible with 3D printing.Infact, global footwear giant Adidas has already announced a partnership with Carbon 3D to mass produce 100,000 pieces of FutureCraft 4D 3D printed mid soles by 2018! Space organizations like NASA and Elon Musk’s SpaceX have committed to sending humans to colonize the red planet anytime within the next 10 to 40 years, and they plan to set up extra terrestrial habitats for using 3D printing. 3D printing robots are much better suited at constructing in outer space environments than humans, and are much better at it too. NASA recently hosted a design competition for building houses on Mars and the winner of phase 1 was ICE HOUSE which used 3D printing and ice to create a igloo-like structure. 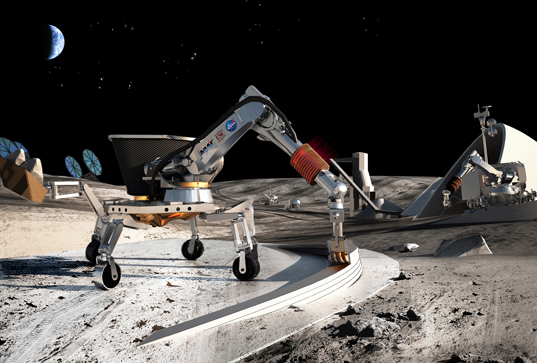 3D printing finds several more applications in the space industry. NASA successfully tested 3D printing in the zero gravity of space, printing a ratchet wrench on the ISS by transmitting the design file to the astronauts. This showcases the potential reduction in transportation costs of equipment into space, and lays the groundwork for logistics that will pan out in colonizing other planets. Owing to the rising popularity and sales of desktop 3D printers, a lot of open source design libraries have sprung up all over the internet where one can simply download a CAD file and print it for personal use. 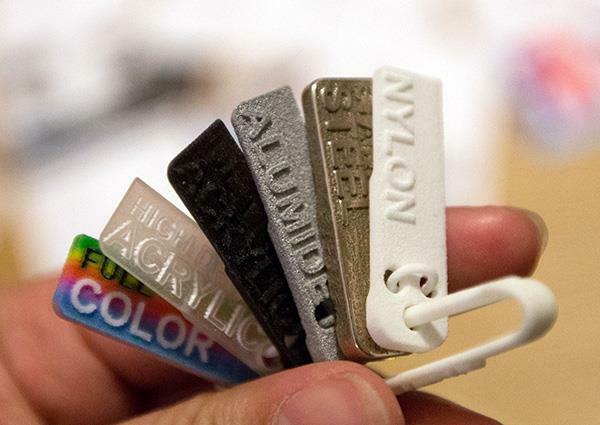 Sites like Thingiverse and GrabCAD offer free designs for anything from toys to pop culture memorabilia to utility items like smartphone covers that one can simple download and print at convenience. These files can also be tweaked and customized on demand, and open up a world of avenues for what’s possible in today’s date with desktop printers. Makers and tinkerers are also encouraged to contribute their designs to further build such libraries.Years from now, consumers, objects like coffee mugs, dishes, jewellery, decor furniture and possibly even food and designer clothing will be printed right within the confines of home, thanks to a growing support for a variety of ‘printable’ materials. 3D printing will change the way we buy things. Instead of heading out to your favourite mall or even ordering it online, all you would need to do is log in to the manufacturer’s website, pay for and download the digital blueprint for the product and immediately 3D print it. 3D Printing is already being actively deployed by doctors and healthcare professionals all over the world for innovative applications. 3D anatomical models, which mimic the actual anatomy of a patient, help doctors understand cases and plan surgeries with relative ease. 3D printed surgical guides take it a notch higher; these are tool that a doctor can use while performing surgeries to make high precision cuts and drills on the patient’s body. Implants have successfully been printed in metal, customized for each patient as a perfect mimic of their anatomical shape and size. Recents developments in medical 3D printing are showing ground breaking potential. Bioprinting, a technique for 3D printing living tissue has led to the making of a fully functional, artificial 3D printed organ! While more tests are underway, experts are already discussing possibilities of a future where a patient would no longer have to rely on donor organs for transplant, they will be 3D printed right there in hospitals on demand! Technology is a continuously evolving entity whose sole purpose should be to better human lives. That which is touted as magic today is the science of tomorrow. But while we are yet to see technologies like teleportation or time travel or travel to other stars, things like 3D printing reaffirm our belief that today indeed is a good time to be alive.